Chandler Parsons hits an off balance three from deep behind the line as the shot clock expires. In his third season with the Rockets, averaged 16.6 points, 5.5 rebounds, 4.0 assists and 1.2 steals in 74 games (74 starts) ... recorded team highs of 24 points (8-14 FG, 6-6 FT), 12 rebounds and six assists at Utah (11/2/13) … collected 22 points (9-19 FG), seven assists and a career-best four blocked shots at Philadelphia (11/13/13) … had 21 points (7-10 FG, 4-5 3FG), a career-high-tying 11 assists (11 on 1/ 26/13 vs. Brooklyn), five boards and a season-best four steals at Dallas (11/20/13) … had a game-high 21 points (7- 7 FG) off a 6-for-6 night from beyond the arc vs. Brooklyn (11/29/13), which tied for the second most treys made without a miss in Rockets history (Aaron Brooks 7-7 3FG on 3/17/10 vs. Memphis and Shane Battier 6-6 3FG on 2/ 17/10 at Milwaukee) … netted 25 points (9-21 FG, 4-8 3FG) in a 112-106 win at San Antonio (11/30/13) … added 23 points (9-14 FG) and three thefts in a 116-112 win at Golden State (12/13/13) … had 20 points (9-15 FG) and seven boards in 43:15 of action in a 114-97 win at Detroit (12/21/ 13) … registered 21 points (8-14 FG, 5-9 3FG), six boards and six assists in a 111-98 win at San Antonio (12/25/13) … totaled 15 points (5-12 FG), 11 rebounds and five assists vs. Memphis (12/26/13) … posted 17 points (6-13 FG), 11 boards and three steals vs. New York (1/3/14) … reached double-figuring scoring in a career-high 17 consecutive games (12/8/13-1/16/14) … led the Rockets with 31 points (12-19 FG, 3-5 3FG) in a 126-113 win vs. Portland (1/20/ 14), adding 10 rebounds, a team-high seven assists and two blocks … added 19 points (7-15 FG) and 10 boards vs. Sacramento (1/22/14) … registered a career-high 34 points (11-17 FG) and set the Rockets record for 3-pointers made in a game with 10 (10-14 3FG) vs. Memphis (1/24/14), hitting all six 3-point attempts (Rockets record for 3FGM in a quarter) in an 18-point third quarter and finishing 10-of-11 from beyond the arc (NBA record for 3FGM in a half) for 30 points in the second half … also hit his 10 consecutive 3- pointers without a miss (tied Rockets record) … led the Rockets with 26 points (9-17 FG) in a 117-115 win at Dallas (1/29/14) … recorded 18 points (7-15 FG), a season-hightying 12 boards and six assists vs. Washington (2/12/14) … marked his seventh double-double of the season (17th career) … matched his season-high four seals at Miami (3/ 16/14) … registered 28 points (9-19 FG, 9-11 FT) and nine boards vs. the L.A. Clippers (3/29/14) … added another 23 points (5-17 FG, 3-9 3FG, 10-11 FT) in a 111-107 win vs. Oklahoma City (4/4/14) … netted 19 points (8-13 FG, 2-6 3FG, 1-2 FT) in a 145-130 win at the L.A. Lakers (4/8/14) … scored 27 points (11-19 FG, 3-8 3FG, 1-2 FT) at Minnesota … also recorded 21 points (7-17 FG, 2-7 3FG, 5-7 FT) in a 104-98 win over the Spurs (4/14/14) giving him 20-plus points on 22 occasions this season. 2012-13: In his second season with the Rockets, averaged 15.5 points, 5.3 rebounds, 3.5 assists and 0.99 steals in 76 games (76 starts) … placed on the inactive list for one game (11/28/12) with a sore right shoulder and one game (4/1/13) due to sickness … DND for four games (4/5/13-4/12/13) with a strained right calf … voted in a starter and scored 13 points (6-9 FG) for Team Shaq in the 2013 BBVA Rising Stars Challenge (2/15/13), which was held during 2013 NBA All-Star Weekend in Houston … led (or tied) the Rockets in scoring 11 times, assists on eight occasions and rebounds in four games … registered 22 games of 20-plus points, including the first two 30-point outings of his career … finished with eight double-doubles … notched double-digit rebounds eight times and had one game with 10 or more assists … grabbed 12 rebounds vs. Portland (11/3/12) … posted 13 points (4-14 FG) and 10 boards vs. New Orleans (11/14/12) … added 19 points (8-15 FG) and 11 rebounds at Portland (11/16/12) … led the Rockets with 24 points (8-10 FG, 4-5 3FG) at the L.A. Lakers (11/18/12) … totaled 11 points (3-11 FG), a team-high 10 rebounds and a team-best five assists at Utah (11/19/12) … had another 18 points (7-13 FG) and a career-high 13 rebounds vs. Chicago (11/21/12), marking a second consecutive double-double … finished with 31 points (13-17 FG, 4-7 3FG, 1-2 FT) and four steals in a 131- 103 win vs. New York (11/23/12), surpassing his previous high in scoring (25 points) with 26 points (11-13 FG, 3-4 3FG) in the first half alone … made at least one 3-pointer in a career-best 22 consecutive games played (4/15/12-12/4/12) … posted 18 points (6-17 FG, 5-6 FT), a game-high 10 rebounds and five assists vs. Dallas (12/8/12) … picked up 15 points (5-7 FG), nine rebounds, eight assists and two steals vs. Boston (12/14/12) … nabbed a career-high five steals at New York (12/17/12) … finished with 10 points (5-9 FG) and 10 rebounds vs. New Orleans (1/2/13) … made a career-high three blocked shots at New Orleans (1/25/13) … recorded 16 points (7-11 FG), a career-high 11 assists and six boards vs. Brooklyn (1/26/13), matching his previous career high in assists with eight in the first half alone (eight on 12/14/12 vs. Boston) … had 24 points (9-17 FG, 3-6 3FG) and 10 rebounds vs. Charlotte (2/2/13) … added 16 points (6-12 FG, 4-8 3FG) and eight assists vs. Golden State (2/5/13) … scored 20 points (8-14 FG, 4-8 3FG) vs. Portland (2/8/13) … collected 21 points (9-15 FG, 3-6 3FG), nine assists and eight boards in a 116-107 win at Golden State (2/12/13) … registered a career-high 32 points (12-13 FG, 2-2 FT) in a 136-103 win vs. Dallas (3/3/13), which included setting his career best of six 3-pointers made (6-7 3FG) … became the first Rockets player to hit 92 percent of his shots in a game with at least 13 field goal attempts since Otis Thorpe (24 points on .923, 12-13 FG on 3/31/90 vs. Minnesota) … led the Rockets with 26 points (9-13 FG) and a career-high-tying six 3-pointers made (6-8 3FG) in a 94-88 win at Golden State (3/8/13) … posted the longest 20-point streak of his career at six straight games (24 on 2/23/13, 20 on 2/27/13, 21 on 3/1/13, 32 on 3/3/13, 23 on 3/6/13 and 26 on 3/8/13), scoring a total of 146 points (24.3 ppg) on 56-of-88 (.636) from the field and 27-of-44 (.614) from beyond the arc over this run … recorded a career-high 13 consecutive double-digit scoring games (2/12/13- 3/15/13) … added 20 points (8-17 FG, 2-7 3FG) and eight rebounds in a 96-95 win vs. San Antonio (3/24/13), hitting a key 3-pointer to bring the Rockets within one point at 93-92 with just 1:19 left in the contest … topped the Rockets with 29 points (12-18 FG, 3-6 3FG) in a 112-102 win at Sacramento (4/3/13). 2011-12: Named to the NBA All-Rookie Second Team in his first season with Houston … averaged 9.5 points, 4.8 rebounds, 2.1 assists and 1.16 steals in 63 games (57 starts) … was a DNP (CD) for one game (12/26/11) … DND for one game (3/17/12) due to illness and one other contest (4/26/12) with a bruised right shoulder … ranked near the top of nearly every statistical category among NBA rookies, including fourth in steals per game (1.16), tied for sixth in rebounding average (4.8), tied for ninth in scoring (9.5) and 10th in assists per game (2.1) … notched two or more steals in 23 games, which was second on the Rockets (24 by Kyle Lowry) … reached double-digit scoring 30 times, including five 20-point performances (Rockets record: 3-2) … added two double-doubles … led (or tied) Houston in rebounds 11 times and scoring on seven occasions … member of Team Texas for the Shooting Stars contest on All-Star Saturday Night in Orlando (2/25/12), finishing second to Team New York in the finals … hit 80-of-152 (.526) shots and scored in double-digits 11 times during the month of Mar. 2012, twice reaching double-figure scoring in a season-high five consecutive games (3/2/12-3/10/12 and 3/20/12-3/27/12) … made his Rockets debut with five points (2-5 FG) and five rebounds vs. San Antonio (12/29/11) … recorded all of his 13 points (3-3 3FG) in the fourth quarter at Memphis (12/30/11) … made his first career start vs. Oklahoma City (1/7/12), notching a team-best eight boards and three steals … led the Rockets in scoring with the first 20-point game of his career in an 82-70 win at Charlotte (1/10/12), finishing with 20 points (9-16 FG) and seven rebounds … notched 16 points (7-14 FG), eight rebounds, five assists, two steals and two blocks vs. Milwaukee (1/25/12) ... recorded 14 points (6-12 FG) and seven boards in a 96-95 win vs. Oklahoma City (2/15/12) … topped Houston with 18 points (8-15 FG) vs. Minnesota (2/17/12) … netted at least one 3-pointer in nine consecutive games (2/9/12-2/28/12) … scored 11 points on 5-of-6 shooting vs. the L.A. Clippers (3/4/12) … set a career best with six free throws made (6-8 FT) at Toronto (3/7/12), finishing with a team-high 19 points (6-9 FG) and three steals … collected 16 points (8-11 FG), six assists and five rebounds at New Jersey (3/10/12) … shared top scoring honors with Courtney Lee in a 104-103 win at Oklahoma City (3/13/12), registering 21 points (9-16 FG, 3-5 3FG), seven boards and six assists … dished a season-high seven assists vs. Charlotte (3/14/12) … had 13 points (3-6 3FG) and seven rebounds vs. the L.A. Lakers (3/20/12) … led the Rockets with 20 points (8-16 FG) and career-high 11 boards vs. Golden State (3/22/12), marking his first career double-double … posted his second consecutive double-double with 12 points (5-16 FG), a career-high-tying 11 rebounds and six assists vs. Dallas (3/24/12), which included nailing a 3-pointer with 3.3 seconds left in regulation to send the game into overtime … had 13 points (5-7 FG) in a 112-107 win at the L.A. Lakers (4/6/12), including a 3-of-3 performance from beyond the arc … scored 12 points (4-13 FG) and grabbed a team-high nine boards at Denver (4/15/12) … totaled 21 points (8-16 FG) and three steals vs. Denver (4/16/12), including an 11-point first quarter … topped the Rockets with a career-high 23 points (10-13 FG, 3-5 3FG) at Miami (4/22/12), adding six rebounds and a career-best four steals. Selected by Houston in the second round (38th overall) of the 2011 NBA Draft … signed by Houston on Dec. 17, 2011 ... Signed as a free agent with Dallas on July 13, 2014. Completed his four-year career at Florida ranked 12th all-time in school history with 1,452 points … became the first Gator ever to be named SEC Player of the Year in 2010-11 … First-Team All-SEC as a senior … also named to the SEC All-Tournament and AP All-America Teams in 2010-11, as well as First-Team NABC All-District 21 … in 2009-10, became the 45th Gator to score 1,000 career points during his junior campaign … was the first player in school history to hit two true buzzer-beaters, making a 75-footer to beat N.C. State (1/3/10), then a spot-up 3-pointer to beat South Carolina (1/23/10) … garnered Orange Bowl Classic MVP honors as a sophomore … earned SEC All-Freshman honors in 2007-08. 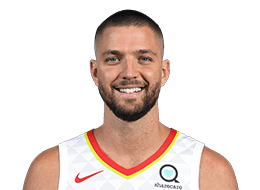 Born Chandler Parsons on Oct. 25, 1988, in Casselberry, Florida … son of Gary and Terri Parsons … grandfather, Don Parsons, played basketball at Rutgers and was drafted by the New York Knicks … graduated from UF with a degree in telecommunications … averaged 21.7 points and 9.8 rebounds per game for Lake Howell High School, helping the Silver Hawks to a 31-3 mark and the 5A State championship … Lake Howell made the Final Four in each of his three years on the varsity level … was the MVP of the 5A State championship, a Jordan All-American, an All-Conference selection and a First-Team 5A All-State selection his senior year in high school.